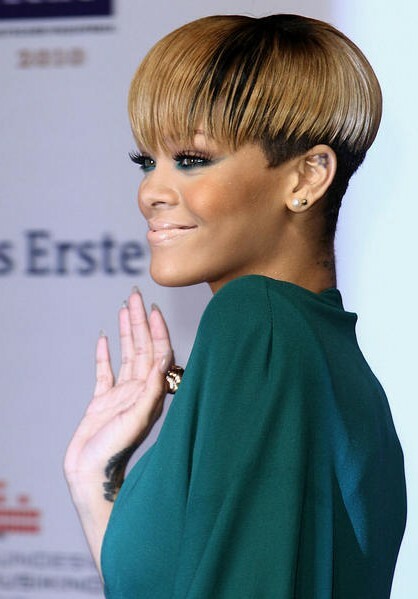 Rihanna hairstyle pictures, see many Rihanna pictures. 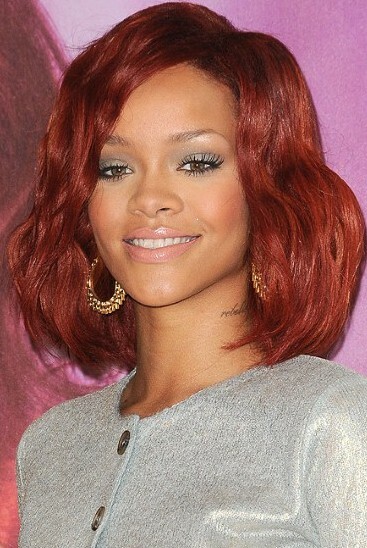 Get the latest Rihanna hairstyles here. The pop sensation continues to reinvent her look – while entertaining her fans – with her frequently changing hairstyles. Robyn Rihanna Fenty, better known as simply Rihanna, is a Barbadian R&B recording artist. Born in Saint Michael, Barbados, Rihanna moved to the United States at the age of 16 to pursue a recording career under the guidance of record producer Evan Rogers. She subsequently signed a contract with Def Jam Recordings after auditioning for then-label head Jay-Z. This is what one calls a ‘statement’ hair ‘do. As fun as it was, it didn’t last all that long. Rihanna artfully juxtaposes the thick stripes of her Louise Goldin dress with soft, feminine curls. 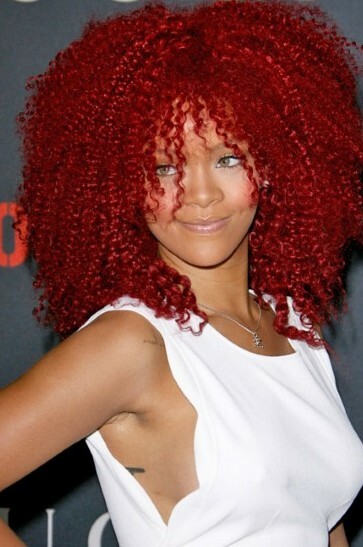 Before the foxy red hair days, Rihanna suffered from the same affliction as many a teenage girl across the world: paper-thin, over straightened locks. We’re wondering if this particular cut was inspired by a choir boy. Oh, the rock’n’roll irony. Do you love this long hairstyle? Another picture of long sleek hair style from Rihanna. Short curly hair style from Rihanna. Do you love Rihanna black bob hairstyle?